Dr. Maria Carmen Arribe is a graduate of the University of the East, Philippines, one of the best in the country. 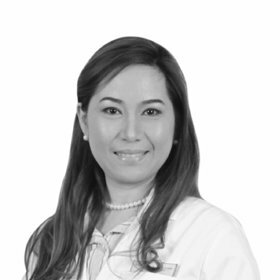 She's been practicing General Dentistry for almost 14 years now, eight of which were spent practicing in the UAE. She loves to work with patients of all ages and relates exceptionally well to them. She has an innate ability to comfort patients in her dental chair and enjoys giving them the smile they always dreamed of. Her affiliation includes American Dental Association and International Association for Orthodontics.